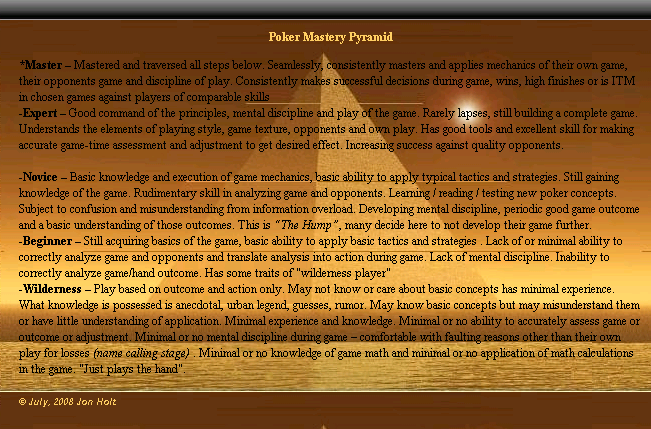 This is my thought of the learning curve on the route to becoming an excellent player - what do you think? player. I was interested to find that he referred to this progression in four "Stages"
Ray went on to say that all of the great players he knew, and saw from the beginning, went through the same stages - not exactly but pretty much along the same lines".